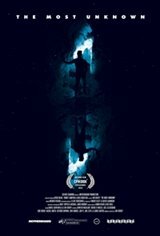 The Most Unknown is an epic documentary film told with humor and the thrill of discovery that pushes the boundaries of how science storytelling is approached. What emerges is a deeply human trip to the foundations of discovery and a powerful reminder that the unanswered questions are the most crucial ones to pose: How did life begin? What is time? What is consciousness? How much do we really know?